What is it about kids coming in your life and taking up, what feels like, all your space? I remember before we had our son, the living room stayed clean with fluffy pillows, the kitchen pantry stayed stacked with snacks, and the master bedroom was a bit of a sanctuary. It was a place where the rest of the world was not welcome and fresh starts to days happen, and the day ended with an opportunity to wind down rather than just pass out. I know I can't be the only one who has stepped on a Lego in the middle of the night when you were in what you thought was actually YOUR bedroom. Or had to remove things off your nightstand to keep tiny fingers away from them? Our son recently turned five, and after five years, we have decided to return to our bedroom being our space in the house that kids are not allowed, especially if they have toys in their hands. So in order to reclaim our territory we have implemented a few guidelines to reclaiming our space. Our door is closed. It is not open and saying “come right on in” anymore. It's saying “closed and don't touch me”. No but really, we keep the doors closed. And this is allowing us to teach him about knocking when a door is closed. Versus just barging in because closed doors are really just obstacles to an intended bout of fun. Since the kids are not coming in, when we straighten up, in theory, it will actually stay pretty clean. So we have decided that no matter how tired we are, we will carve out the extra time to hang up our clothes, instead of laying them on the chair and saying well get it later. Or not rolling out of bed without taking the time to make it back up. Since it won't get messed up by a kid doing cartwheels and front flips off it anymore. Beyond cleaning up, we try to keep that fresh smell hanging around. We have started making sure that the room always has a nice smell lingering. 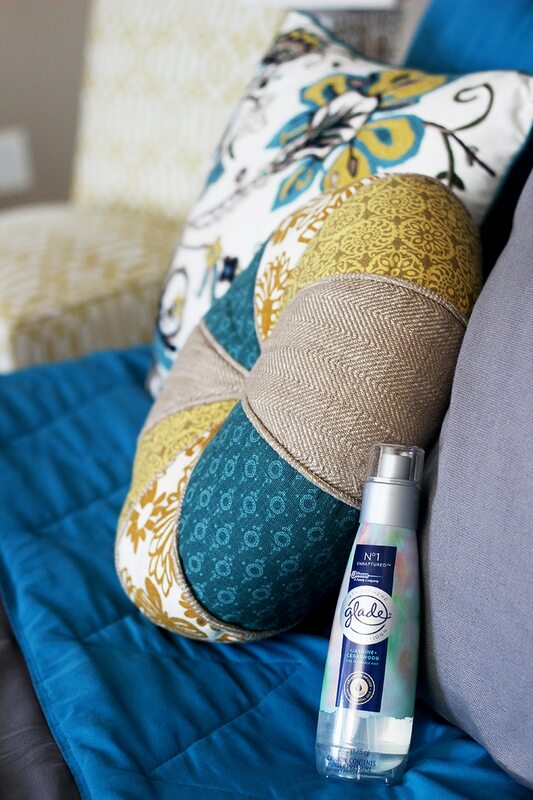 We most recently keep a special home spray handy to put some freshness in the air. Since there will be no little people to mess with said items. 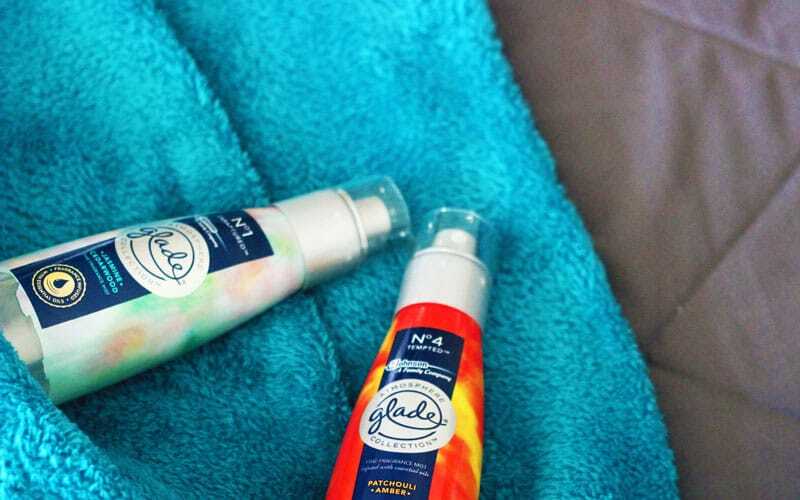 Our favorites lately being The Glade® Atmosphere Collection™ Fine Home Fragrances. 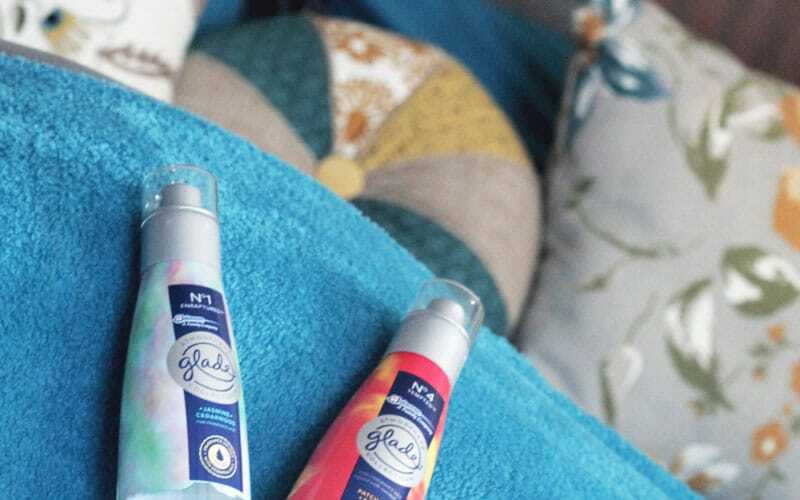 They leave soft hues of essential oils, and masterfully crafted fragrances in the air that welcomes you in when retreating at the end of a LOOOOONG day! My hubby and I are music lovers. It's one of the things that connects us. 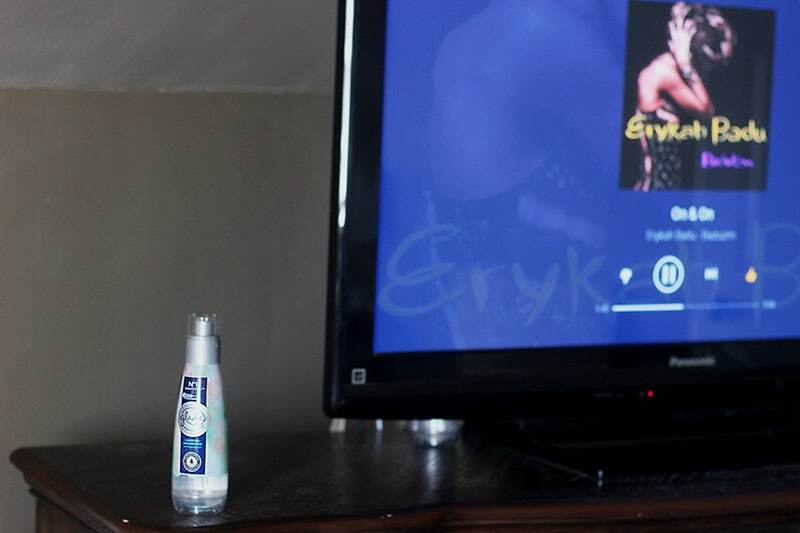 So rather than always grabbing the tv remote, we are going back to just turning on some music and actually relaxing. The daylight freshens up a room in a different kind of way. 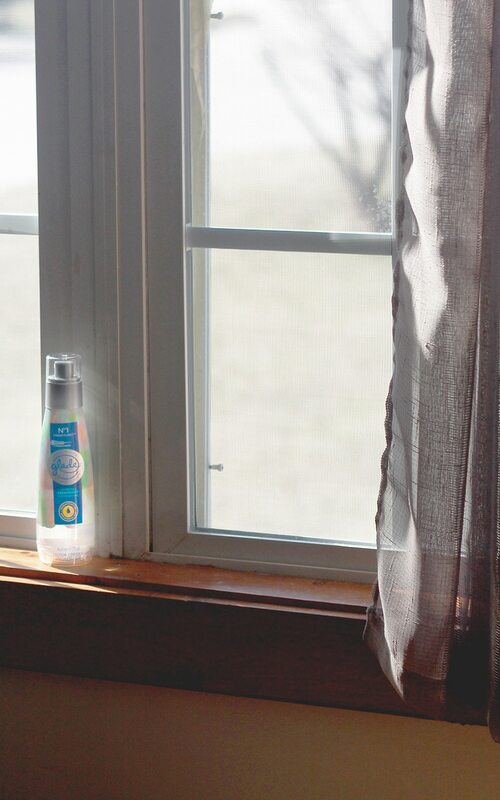 Allowing in fresh light by making sure to open the window treatments in the morning helps get us going in the morning. And if we happen to make it upstairs early enough in the evening, we can actually catch a beautiful sunset in our picture window. It’s the small things…. Instead of hanging family photos and mementos as our decor choices in our room, I have decided to hang up photos of us as a couple and to have items around the room that we like. Having a space to be a couple versus parents is important. And having a place to call your own is essential. Even if it is just ONE room in the house you pay there mortgage for. And since the last kid was the grand finale we have no excuses of turning back on taking back over our master suite. Even though it ends right about where those tiny fingers are under the door! 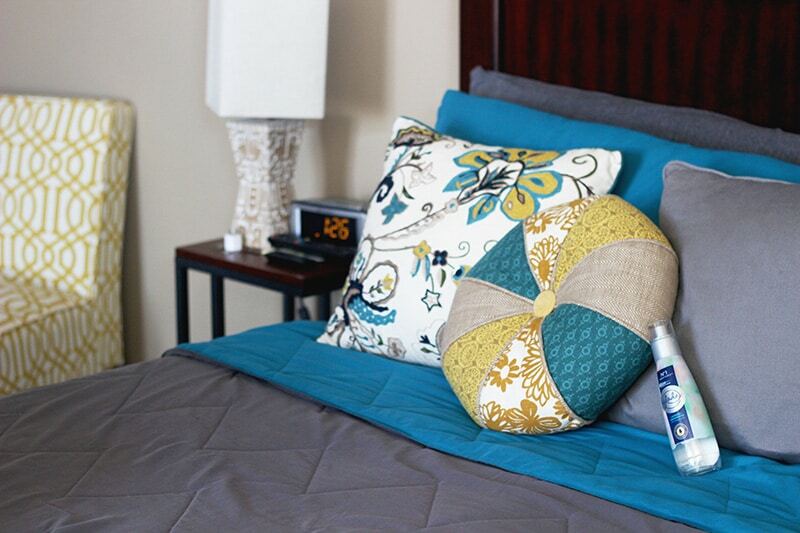 How do you make sure that your bedroom is a place of peace and tranquility? I need some aromatherapy in my home! I’ve had a goal of making the bed every morning with some nice throw pillows and it really helps our bedroom feel like a sanctuary. Great post! Yes, making the bed is a big deal. As I need to go do that now…LOL. And yes, let the LIGHT IN!! Natural light is very healing to me – and I bask in it at every chance I get – all around the house. Good post.